20+ years of knowledge, experience and skill has provided Dr. Jane Burk-Vassallo with an aspireMD unique approach. 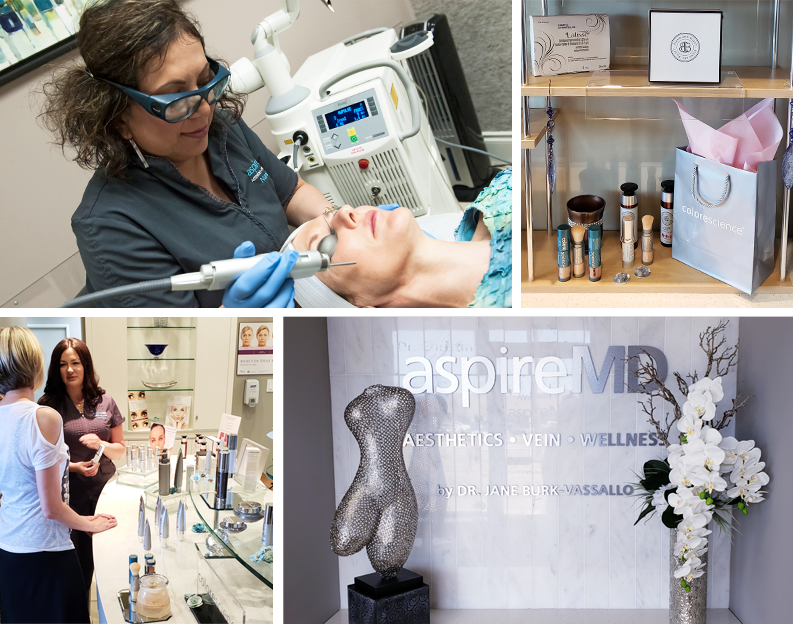 Dr. Jane Burk-Vassallo advances aesthetic medicine through a synergy of artistry, science, innovation and integrity. Young beauty is an act of nature. Ageless beauty is the passionate work of Dr. Jane’s sharp aesthetic eye, soft skillful touch and empowering insights of advice. Warm and engaging, Dr. Jane meets you on your terms of personal goals, desired outcomes, timelines and budget. Trust our caring, expert approach for a natural, vibrant, best version of you! It's your time to look great • feel better • live well Let us aspire you! 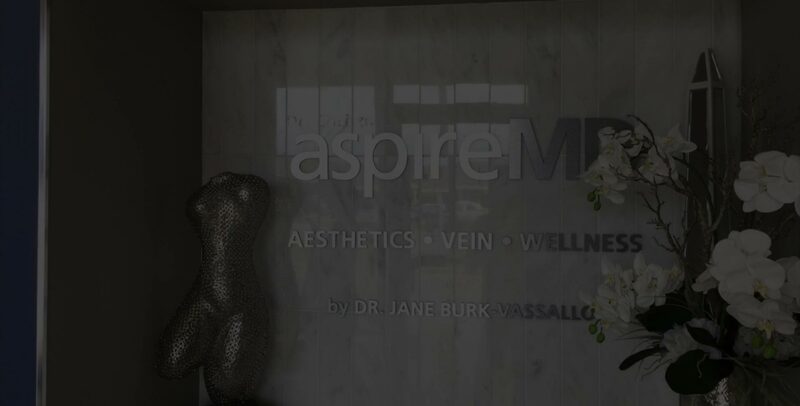 Dr. Jane Burk-Vassallo of aspireMD is the Founder and Medical Director of the Vein, Wellness, Laser and Aesthetic Medicine practice in St. Catharines, ON. 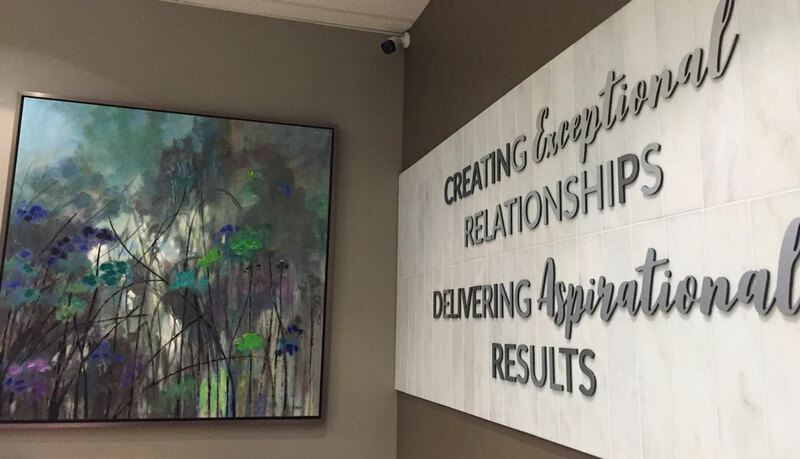 It is built organically on the foundation of ContoursMD ̵Vein MD who has served the Niagara Region as a vein, wellness, cosmetic and laser clinic for the last 20+ years. Dr. Jane will guide you in optimizing your wellness and revitalizing your health and happiness. The aspireMD goal is to live every day feeling inspired, energized and empowered. Dr. Jane Burk-Vassallo also treats veins of a full spectrum of conditions ranging from minor spider veins to severe varicose veins through various treatment modalities. Dr. Jane Burk-Vassallo and the aspireMD team have a professional, yet friendly approach. We strive to enable our patients to achieve their personal objectives. We empower our patients through education and provide optimal results in a technologically advanced, medically safe and trustworthy environment. 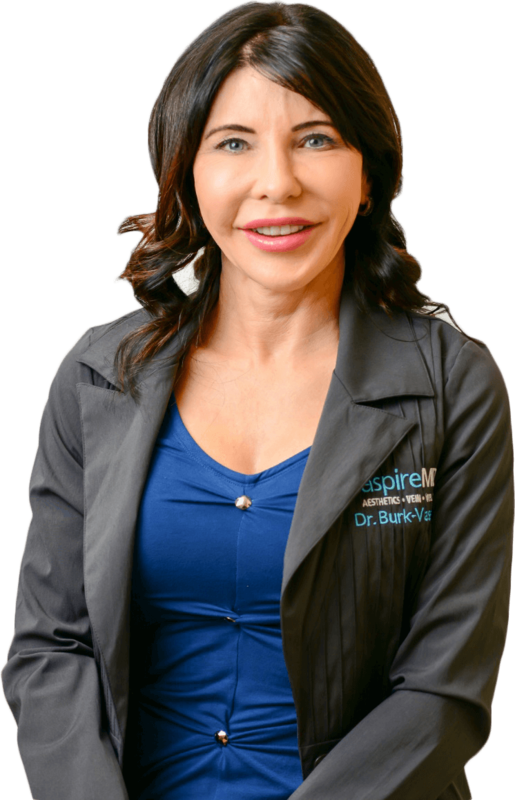 Dr. Burk-Vassallo | aspireMD seeks to create exceptional relationships with our patients while delivering aspirational results. Sign up for our monthly newsletters to engage in an educational conversation with Dr. Jane.